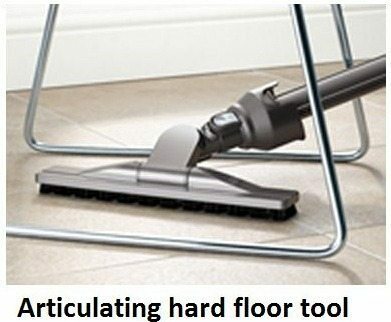 A vacuum cleaner that’s small enough to have a footprint that fits on a standard sheet of A4 paper, weighs just 12 Lbs. 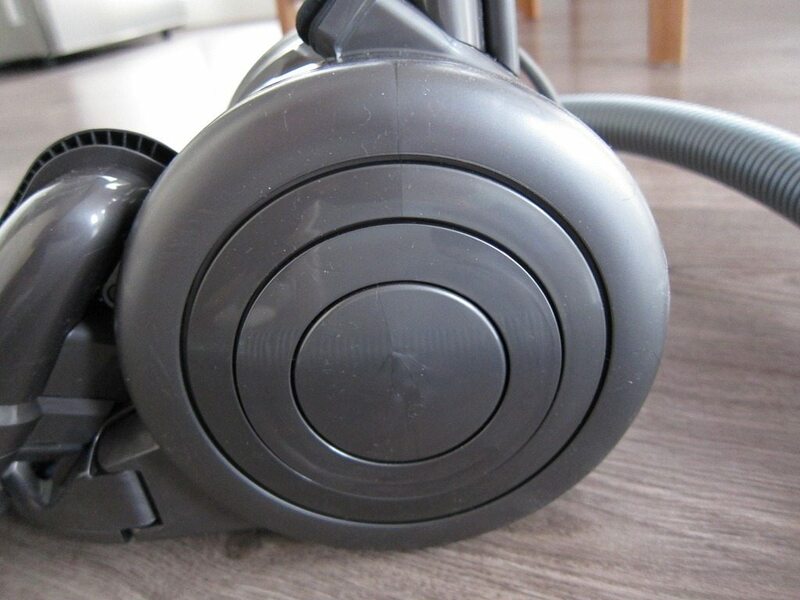 (or about 5,2kg), no bags, doesn’t lose suction and has the power of much larger vacuum cleaners? Can this small vac live up to these big claims? Upon first inspection the DC-26 is indeed petite, but can it deliver the rest? 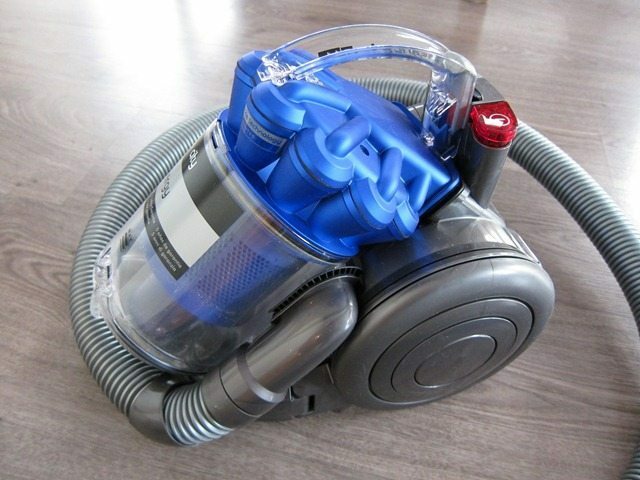 Let’s take the Dyson City DC-26 Allergy for a spin around the carpet and find out. But before we do, let’s have a look at the specs. 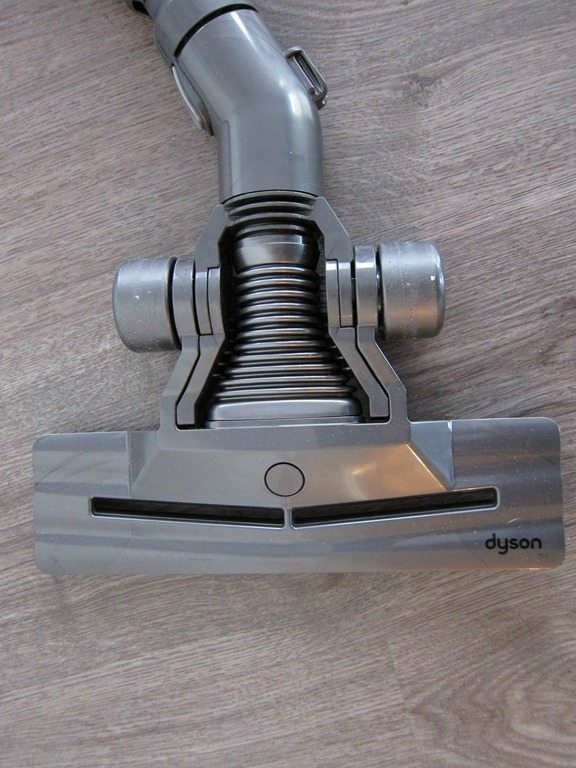 The DC-26 is Dyson’s smallest canister type vacuum that gets around by means of traditional wheels and is only outdone in size by their even smaller DC-35 Multi floor, which basically is a less conventional cordless handheld vacuum cleaner. The unit we got was the European DC-26 Allergy, which in the US for example is known as the DC-26 Multi Floor. 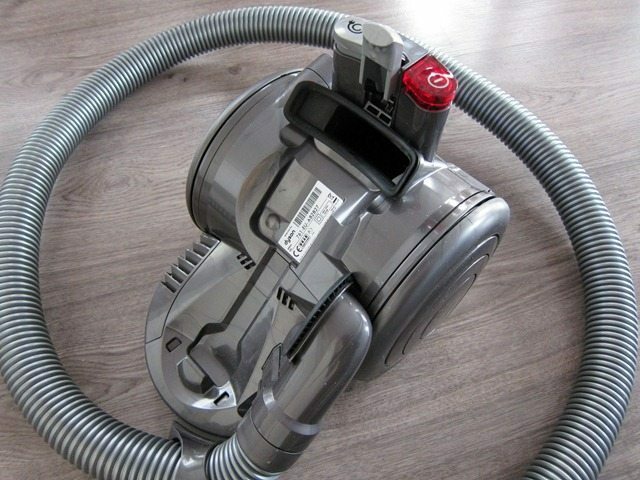 The naming scheme varies by country and not all models are available to all regions, but the vacuum cleaner itself stays the same, differing only by the included cleaner head(s), color and name. Our European Allergy model for example (which is the basic model) only includes the Dual channel floor tool. 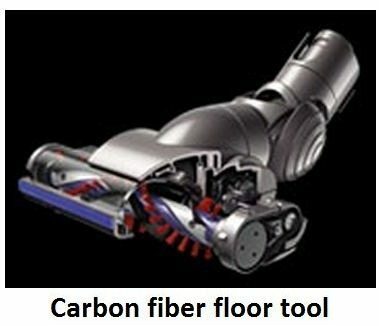 The Multi Floor models like the one that’s available for the US usually includes two cleaner heads: a Carbon fiber floor tool and adds an extra Articulating hard floor tool. Other available models pretty much do a mixing and matching of these three cleaning heads. There are however some strange exceptions which left us scratching our heads. 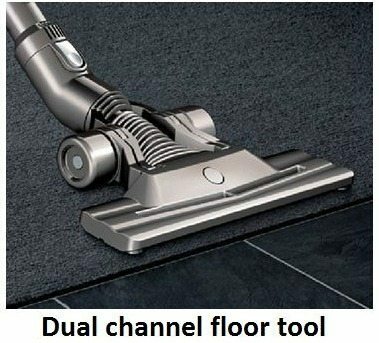 Take for example the UK Multi Floor model which shares the same name as the US model, but unlike its overseas version only includes the Dual channel floor tool. 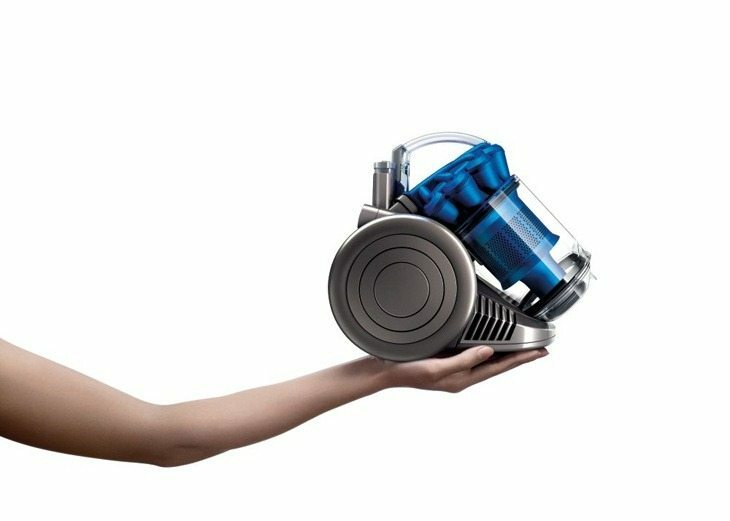 While we do understand the need to tailor products to different regions, we would have liked if Dyson had included the same accessories with products that share the same name. Besides, shouldn’t a “Multi Floor” model include cleaner heads for multiple floor types? Luckily these cleaner heads are interchangeable, so it should be quiet easy to buy additional cleaner heads to add functionality which is a huge plus for the DC-26. On the other hand there two accessories that are included with all models: the Combination accessory tool and stair tool. There’s also an included adjustable wand and detachable handle. 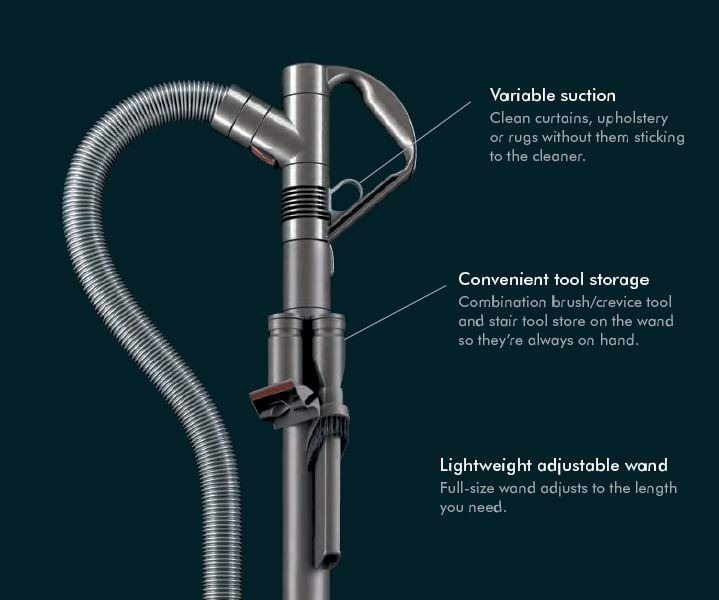 When it comes to design, Dyson vacuum cleaners are a rare breed of products where form is dictated by functionality, yet at the same time they manage to score very high on the aesthetics. 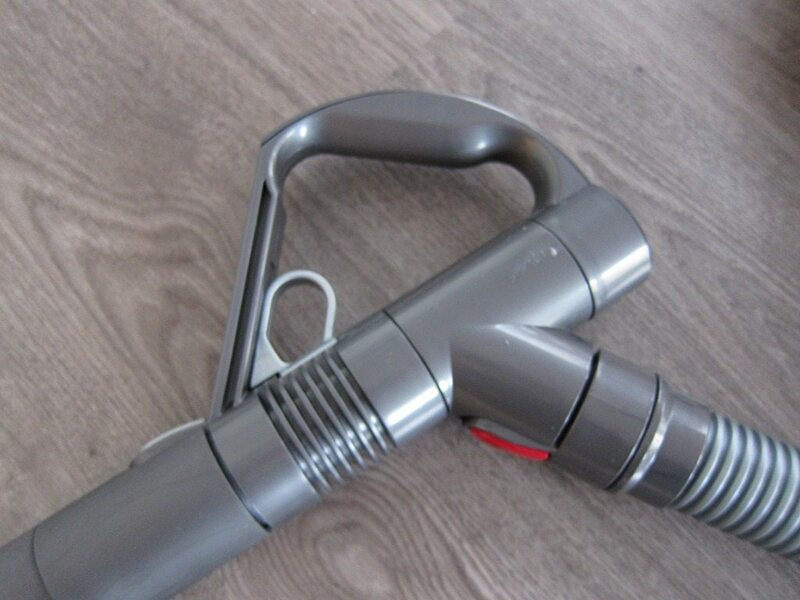 The DC-26 is no exception to this rule with its iconic design, instantly recognizable as a Dyson. 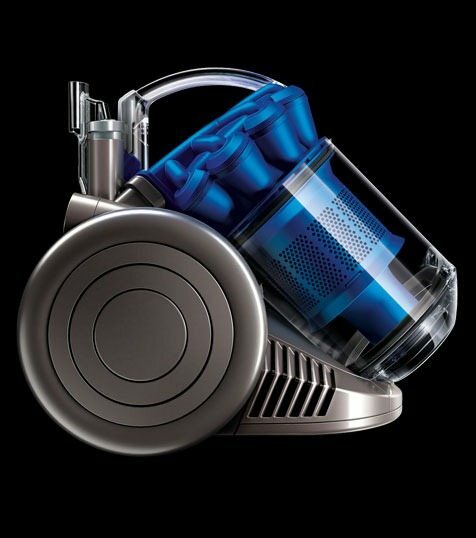 Everything from the oversized back wheels, the clear sloping barrel and the trademark exposed vortex fingers all scream Dyson. Upon closer inspection it becomes clear that Dyson used quality materials and the level of fit and finish is very high, which is something we’d except from a product at this price. 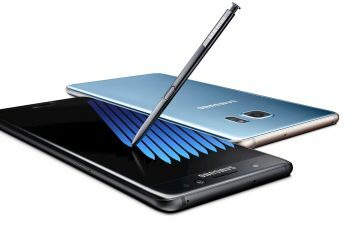 On top of that, the materials used appear to be quiet scratch resistant: even after dropping the wand several times or bumping the vac against tables there’s no visible damage or even scratches to be found. In an age where glossy finish dominates and scratches abound, the DC-26 not only looks good, but seems to be made for the real world. But what truly stands out is the DC-26’s size, making it a marvel of miniaturization. 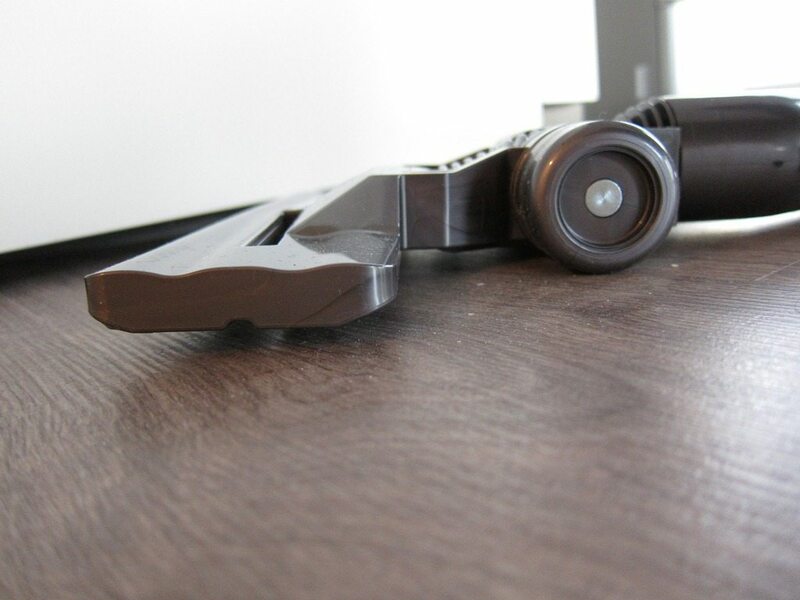 The unit itself consists of the frame, canister and non-detachable hose. There really isn’t much of a frame to speak of, because once the canister is removed, it becomes evident how little space is used for the internals. 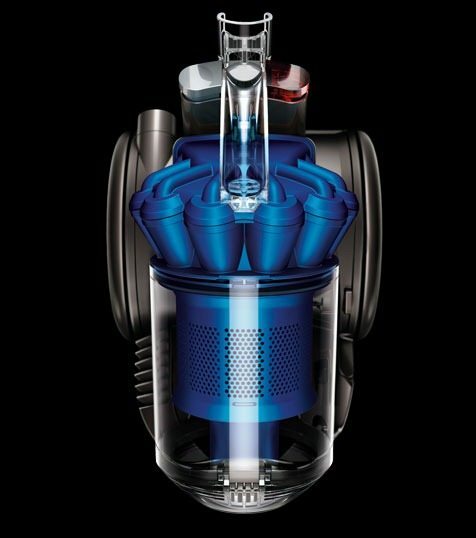 That’s a motor, cable rewind system, duct system, filters all cramped into that tiny space between those two wheels, all while keeping true to the Dyson tradition of having an extremely low center of gravity. 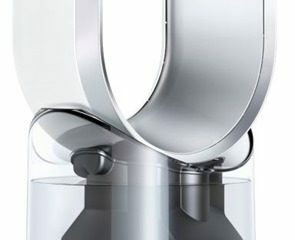 Dyson has done an amazing job on the engineering side of things. The canister can easily be removed and put back with a reassuring click. I also simply loved the fact that with the press of another button the canister automatically opens dropping the collected dirt and dust. The ability remove the bin from the upper part and thoroughly cleaning it with water is also a major plus. However the manual clearly states that this upper part that houses the vortex fingers/inner cyclones should be wiped cleaned and not submerged or drenched with water. 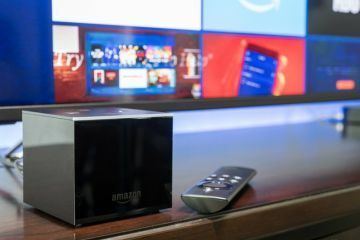 Perhaps in an attempt to keep the unit as small as possible, the hose has been permanently attached to the body and is not user-replaceable. In case the hose does break or is damaged, you’d probably need to send the entire unit in for repair. The hose itself seems very sturdy and probably won’t break easily, but we’d prefer a system where the consumer can easily replace parts. In my opinion this is the biggest downside of the DC-26. The hose can conveniently wrap around the body, not adding much to already the small footprint. However there’s no specific way to actually hook the hose to the body in this position, which means that unless you put the vac in a tight space, the hose probably won’t stay in this position. With the wand and Dual channel floor tool attached, the hose does attach vertically to the back of the unit, keeping everything neatly in one place. A very thoughtful idea in case you just want to keep all accessories attached to the vacuum cleaner, sort of in a ready-to-go position. As we mentioned earlier, we also like to see a similar system when the hose wraps around the frame. 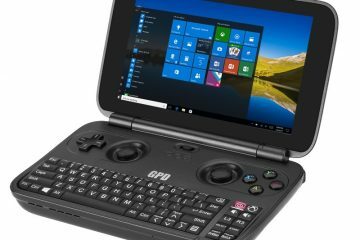 The power button and cable rewind button have been neatly integrated into the body and are positioned where they are easily accessible. Speaking of cables, the 16.5 feet (5 meters) power cable should be more than enough for studios and apartments. Also worth mentioning is the way one of the filters has been smartly hidden behind the left wheel, while the other has been hidden behind the smooth underside. We can only praise the use of HEPA filters and the fact that they are easily cleaned and replaced is very important. The filters should last the lifetime of the product, which is something I personally like. Having to go around finding specific filters for a particular vacuum cleaners can be a nightmare. 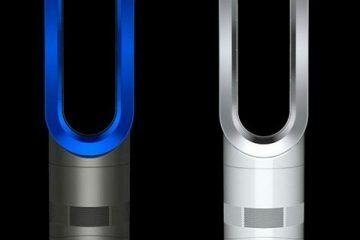 Dyson uses a convenient snap-on modular system for all its accessories. They all just snap into place with a clear audible click and are disconnected by pressing a simple release button. These buttons are colored in bright Red which makes them quiet easy to spot. The entire system couldn’t be any easier: within a minute I was quickly mixing and matching, trying all of the included accessories. The wand and its ability to extend a bit farther is handy, but we would have loved to see a more flexible system by means of joints that would allow it to bend and maintain its position, sort of like a robot arm. In its current state, we feel like the wand is actually holding the usefulness of the DC-26 back. Don’t get us wrong, there’s nothing wrong with the wand, but it seems a bit out of place in this case. It Sometimes I felt like there should have been a second power button near the handle, but high praise has to be given to the suction release trigger, allowing you to control the suction power right from the want. 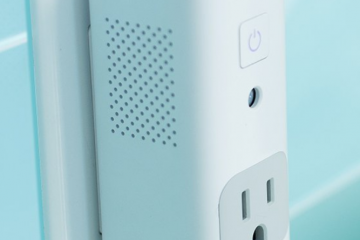 I also noticed that power button has a protection mechanism, activating with little effort, but requiring you to push it down fully for the vac to continue working. A nice little detail. The DC-26 shined during its weekly workout, providing unexpected amount of suction for a vacuum this size and was able to pick up an usually high amount of very fine dust that my other vacuum cleaner had missed. The noise levels are a bit lower than most quality vacuum cleaners out there, but not by much. 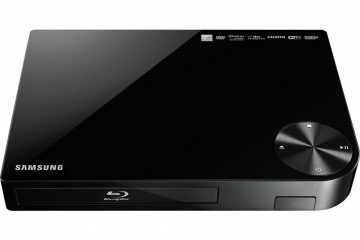 Despite its size, it should do just fine in large home, just expect to empty the bin frequently. For smaller homes, apartments and studios it pretty much the perfect vacuum cleaner. The DC-26 is a marvel of miniaturization, offering power that’s equal or close to much larger vacuum cleaners in a tiny and iconic package. Quality materials are used and the level of fit and finish is high. Dyson’s clip-on accessory system is very easy to use and additional cleaner heads can add even more functionality. The DC-26’s size allow it to be carried quiet easily like a small bag, pretty much changing the way a vacuum cleaner can be used. 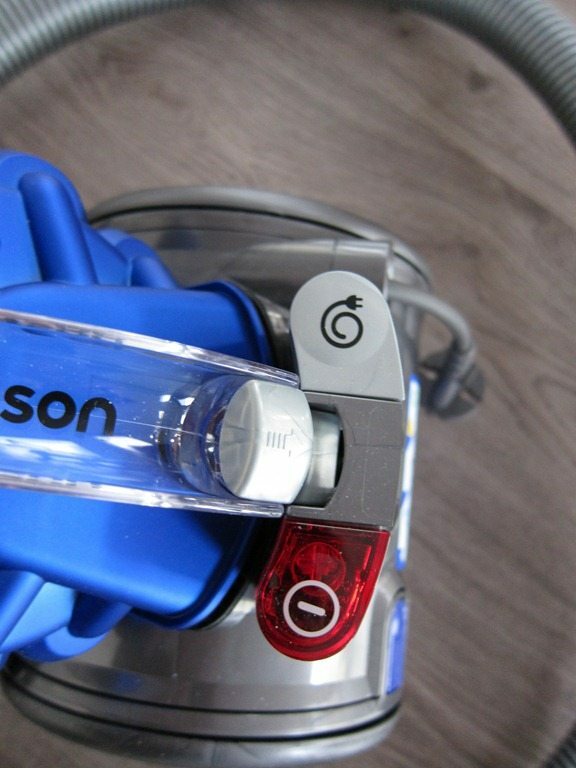 We loved small details like the low profile cleaner head, lifetime HEPA filters, suction release trigger and the ability to press a single button to release the collected dirt and dust. The biggest downside has to be the permanently attached hose. In case the hose does break or is damaged, you’d probably need to send the entire unit in for repair. 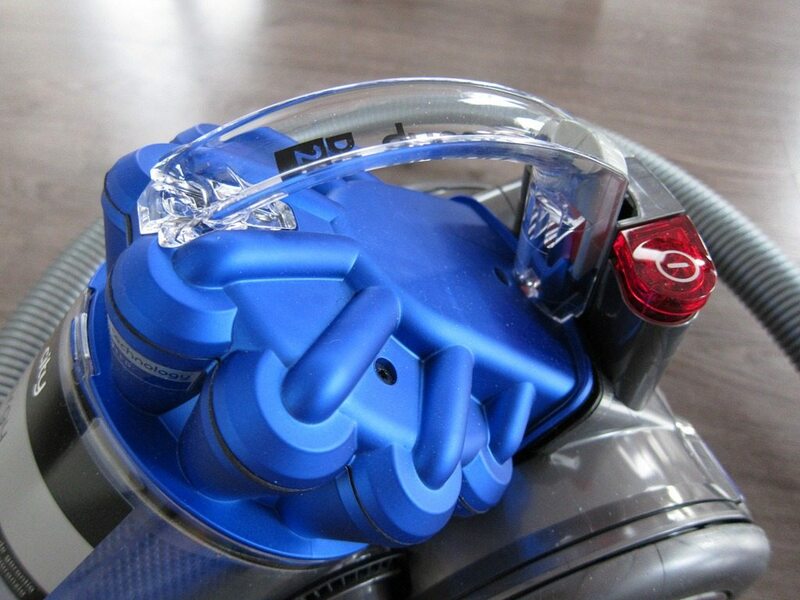 If Dyson manages to fix this, while adding a hook for the hose in wrap-around mode and an articulating wand, they’d be dangerously close to the perfect vacuum cleaner. In its current state the DC-26 is an outstanding product with a price to match. It gets an equally outstanding 9.1 out of 10. 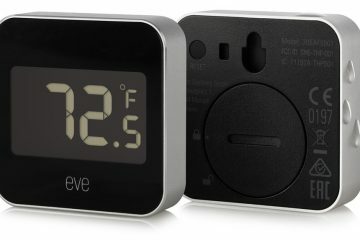 -Use of HEPA filters that should last the lifetime of the product are easily cleaned. -Hose can’t attach to the frame in wrap-around mode.